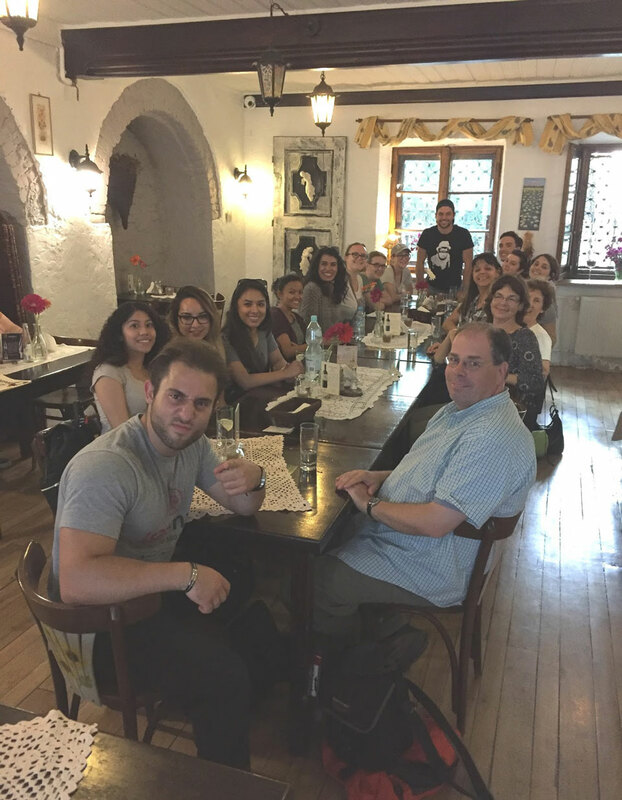 CSUN students from a variety of majors participated in the summer 2016 trip to Poland and Austria. Photo courtesy of Jody Myers. CSUN students and professor Donal O’Sullivan pose for a picture in front of Schoenbrunn palace in Vienna, Austria. Photo courtesy of Jody Myers. The group explores the Rymanow synagogue in Sanok, Poland. Photo courtesy of Jody Myers. 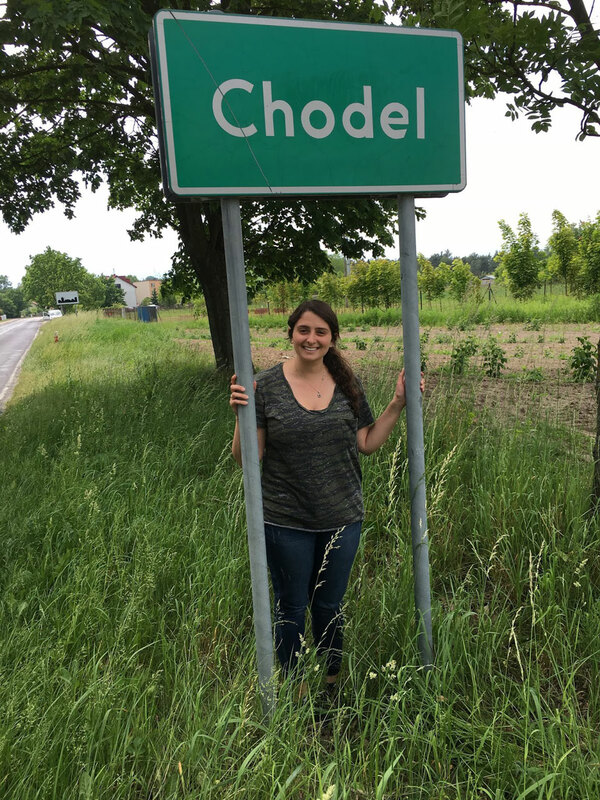 CSUN student Avital Elkayam explores her family roots in Chodel, Poland. Photo courtesy of Jody Myers. The group enjoys authentic European cuisine, such as a traditional Polish dinner. Photo courtesy of Jody Myers. Avital Elkayam ’16 (Jewish Studies and Psychology) grew up in a Jewish household with European family roots. In January, she started listening to audio recordings of her great-great uncle, who talked about her maternal great grandfather’s family life in Poland. 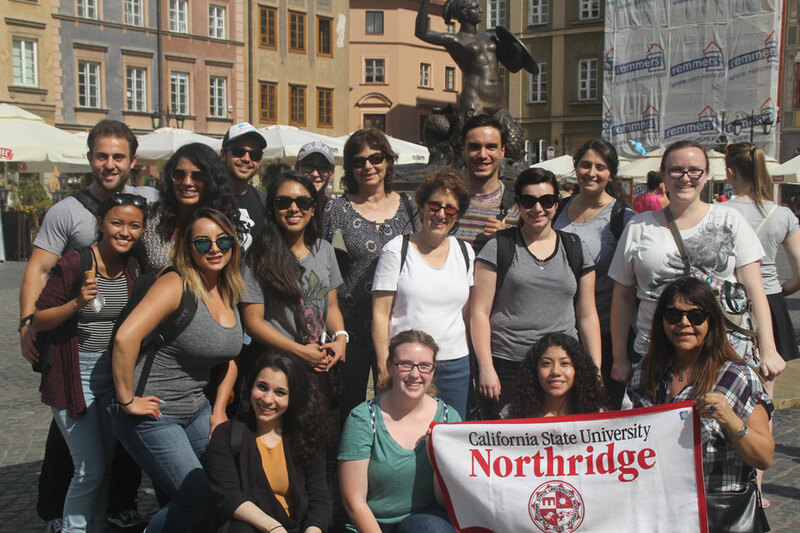 Always fascinated by her family’s past in Eastern Europe, Elkayam participated in a trip to Poland, organized by California State University, Northridge — which turned out to be one of the most memorable experiences of her life. “I am so glad that I was able to go on [the trip] because it was life-changing,” said Elkayam. 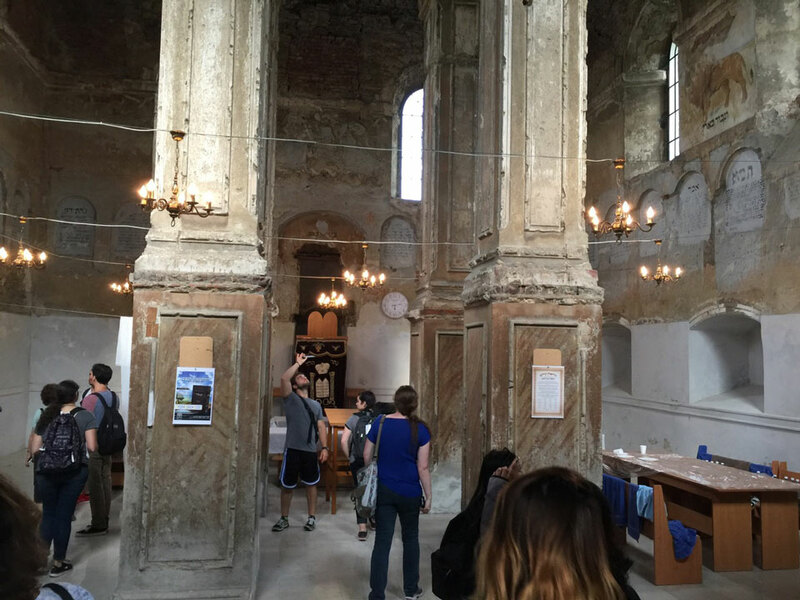 CSUN faculty Jody Myers, director of the Jewish Studies Program and professor in Religious Studies, has been organizing annual trips to Europe, specifically Poland, for CSUN students since 2011. With the help of history professor Donal O’Sullivan, the history department and the Jewish studies program, this year’s trip included destinations in Poland and Austria. Students of all majors and backgrounds were eligible to participate. Shortly after arriving in Poland, Myers introduced Elkayam to a Polish colleague, who translated old documents from the student’s family’s past from Polish to English. Elkayam’s great-grandfather was one of 13 siblings, and one of only five who survived World War II by migrating to the United States. Elkayam has been investigating the history of her ancestors for years and finally found herself in Chodel, Poland, where her family had lived. The CSUN group visited multiple historic places, such as cemeteries containing the bodies of World War II victims, as well as concentration camps in Auschwitz and Birkenau. The majority of the participating students received various scholarships – funded by CSUN’s Instructionally Related Activities as well as private donors – helping them to pay for the trip. In order to apply for a scholarship, applicants had to share how passionate they were about going on the trip. Students expressed how helpful the scholarships were for their travels. “I wouldn’t have been able to go to Europe at all — let alone for a month — had it not been for the kind hearts of the generous individuals who provided me with a scholarship for the trip,” said Shant Goorjian, a senior in business law. The students wrote a blog about their adventures in Europe. For more information and stories, visit their blog on http://csun2016polandaustria.blogspot.com/.